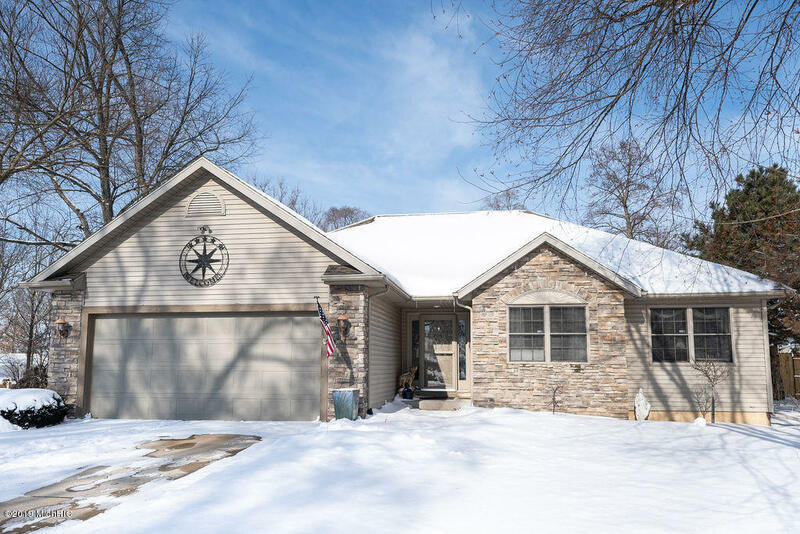 Great ranch home on a full acre in Edwardsburg Schools, across from Eagle Lake. Enjoy this large back yard set up for summer days with a large gazebo and above ground pool. The interior of the home has newly remodeled bathrooms, open concept kitchen and living room with fireplace. The finished basement offers a large media room, space for a workout area and a full bedroom with egress window. Lots of space to live and grow in this home.